I bought flowers for myself today. I marched myself into the grocery store, spent five minutes smelling various tulips, roses and daffodils, and settled on some simple, white daisies. As Kathleen Kelly would say, "They're so friendly. Don't you think daisies are the friendliest flower?" As I put the daisies in an old, glass Diet Coke bottle, I wondered why I didn't buy flowers for myself more often. Why, according to society, does someone else have to buy flowers to make it special? This thought was just the roots of my flower of thinking today. I took an online quiz recently about being an introvert versus and an extrovert. The results declared that I am 100 percent introverted. This, while I would probably say I'm more about 90 percent introverted, was shocking to me. I guess what it comes down to is recharging. 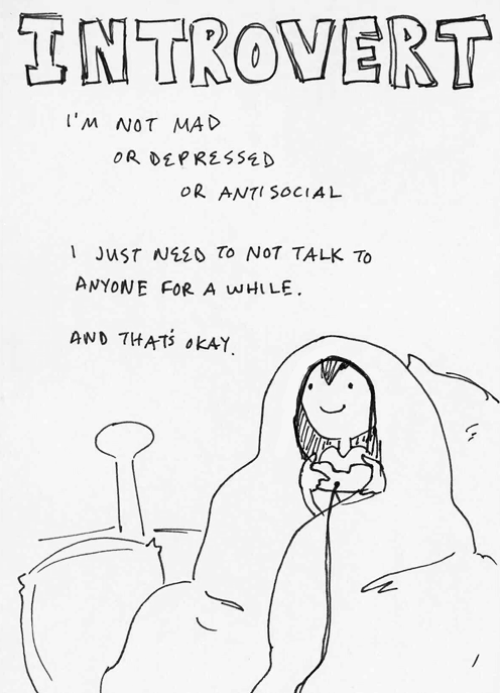 I love to surround myself with people, but I need a lot of alone time. Which is probably why I like writing and reading so much. And flowers. No one came with me to buy flowers; it was an activity I did myself. I didn't tell anyone about the flowers via phone conversation or Instagram. You, reading this now, are the first to know. And I like that. I like that I did something for myself, by myself. That's where my introvertedness kicks in. I like to do things that make me happy, and I like to enjoy things quietly. A final thought for the day: do more things for yourself or by yourself. Read a book outside, take yourself out to lunch, have a spa-night at your home. Have you ever gone to the movies by yourself? There are no interruptions, no people texting next to you while your phone is off and tucked away, and you don't have to share your popcorn. You're your own great date. It's wonderful. And don't forget to buy flowers for yourself.